Fall release for 2018 has started. We’ve added three outstanding wines, all 2016 vintages, Petit Verdot, Malbec and Cabernet Sauvignon for you to enjoy. 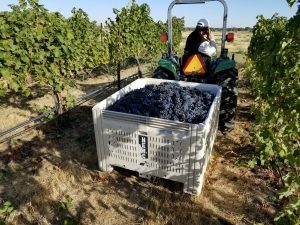 We finished picking our grapes Tuesday, September 18. We’re often asked the difference between Shiraz and Syrah. It’s the same wine (grape) but in Australia, Syrah is overwhelmingly (but not exclusively) known as Shiraz. Our purple deep-red 2015 Syrah emits dark fruit flavors and is quite floral, developing peppery and herbaceous notes as it opens. Customers tell us they detect blackcurrant and licorice flavors as it finishes. 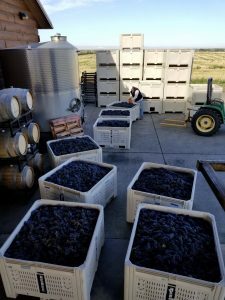 Hence Cellars is located in the popular south side of Walla Walla. 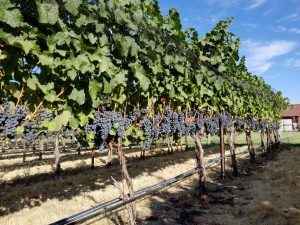 We feature reds and more specific, our Estate Malbec, produced from our Powerline vineyard some of the oldest Malbec vines in the Walla Walla valley. Please text or call for your private tasting.